Arrangements for R.W. 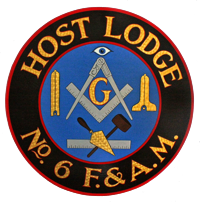 F. Neal Lambert – Host Lodge #6 F. & A.M.
Sunday, 5/14/17, at Scarponi-Bright Funeral Home, 26 Main St., Lebanon, NJ (908-236-2520). 2-4 pm and 7-9 pm, with a Masonic Funeral Service at 8 pm. Brethren participating in the Masonic Service should be at the Scarponi-Bright Funeral Home by 7:30 pm.